The Leitwolf combines futuristic Pininfarina design with ingenious technology. 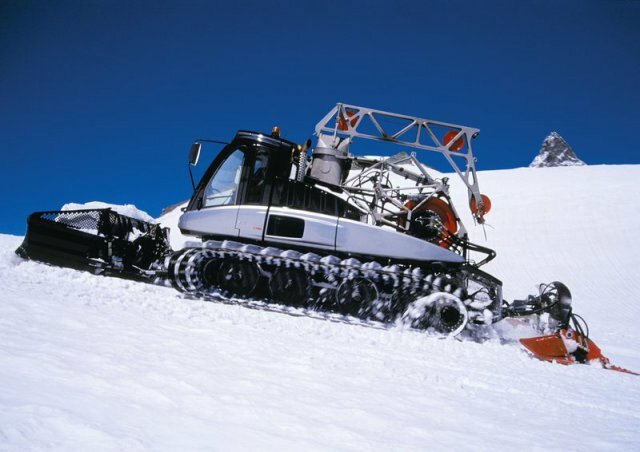 And with its height adjustment, it is unique among snow cats! An innovative high-performance vehicle: the driving experience is comfortable and sporty, and the relationship between performance and weight is without peer. 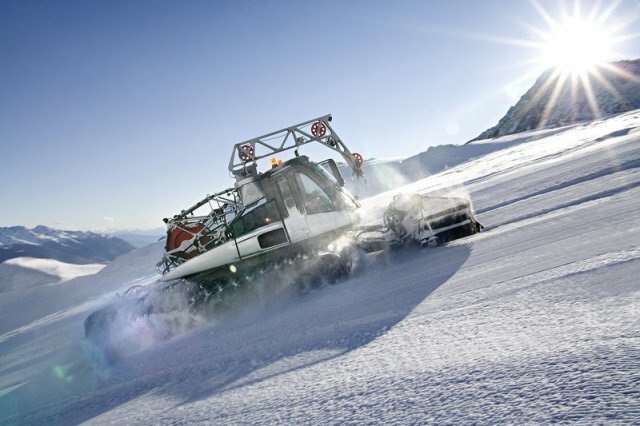 With its innovative technology, the Leitwolf blazes new trails in ski slope preparation! Reliable Performance, Even in Extreme Situations. 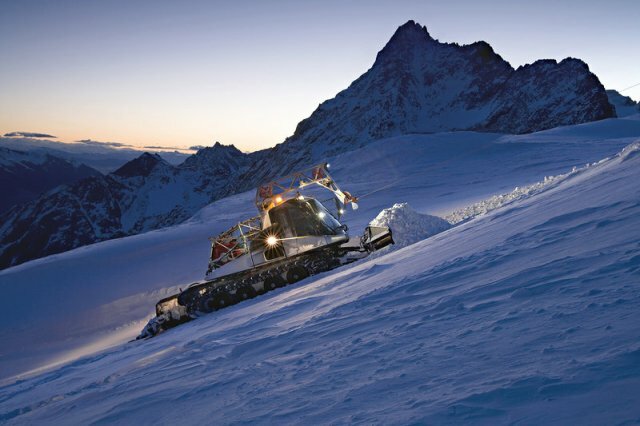 Your potent partner on all slopes: Superior power output through 2,100 Nm (1,550 foot-pounds) of torque and a longer operating life. Safe driving pleasure: Thanks to a ROPS roll-over protected driver’s cab and excellent visibility of the working area through the centrally located driver’s seat. 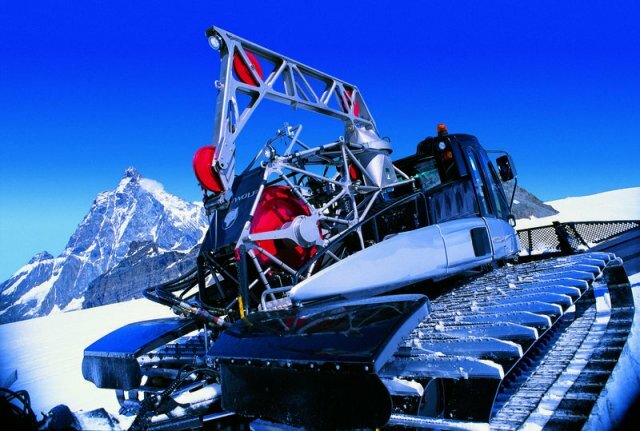 The perfect ski slope image: The Triplex Tiller or the Power Tiller ensure an optimal finish, promising nothing but fun on the slopes for every skier. Active height adjustment: Innovative technology guarantees the mastering of every driving situation. Winch: The patented winch (1,200 m/3,900 ft of cable length) with Wincontrol, the automatic pulling force control, has been proving itself for years. Your potent partner on all slopes. 320 kW (435 HP) diesel engine, superior power output through 2,100 Nm (1,550 foot-pounds) of torque, excellent cold start performance at all elevations, low maintenance costs with a long operating life, and constant retention of value. Safe driving pleasure. Thanks to a ROPS roll-over protected driver’s cab with electronic error control and an extremely lightweight lattice frame for maximum demands. Excellent visibility of the working area as a result of the centrally located driver’s seat. Both the black box and an expanded error search program for the driving and on-board electronics help simplify maintenance. The perfect ski slope image. The Triplex Tiller or the Power Tiller provide a slope with an optimal grip. 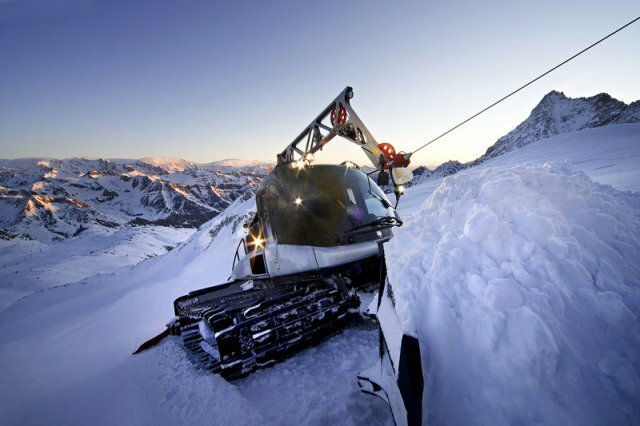 Sheer winter enjoyment for skiers and snowboarders. Active height adjustment. With the height adjustment, the distance between the vehicle and the ground can be changed. The driving properties can thus be adapted to different working situations. PRINOTH drum winch. 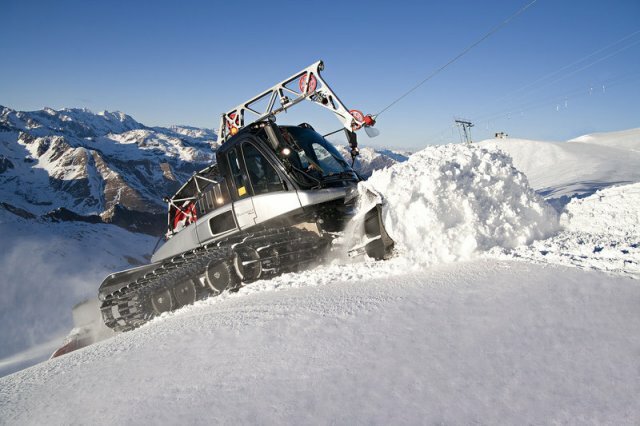 The PRINOTH drum winch on the Leitwolf provides rapid, efficient assistance in the grooming of steep slopes and the transporting of large quantities of snow. With Wincontrol, the latest-generation technology for automatic control of the winch pulling force, the driver is free to concentrate on what is essential, while the winch controls itself.